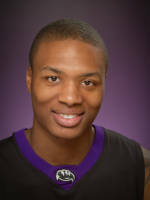 Damian Lillard is a 21 year old, 6'2" 185 pound junior guard from Weber State. Lillard received numerous honors while attending Weber St. including; Big Sky Freshman of the year in 2008-09, Big Sky Player of the Year 2009-10 and 2011-12, All-American honorable mention 2010, and 3rd team AP All-American 2011-12. Lillard's selection as an All-American was the first time in Weber St. or Big Sky history that a player had been named to an AP All-American team. Lillard lost his season in 2010-11 due to a foot injury and ended up taking a medical redshirt. Lillard's raised his offensive production in all three years at Weber State, and his ability to put the ball in the basket has put him on the radar of every scout in the NBA. In his freshman season Lillard averaged, 11.5 ppg, 37% 3pt, 43%fg, 84%ft, and 2.9 ast. In his final season he'd raised those averages to, 24.5 ppg, 40% 3pt, 46%fg, 88%ft, 4.0 ast, and finished the year as the second leading scorer in all of Division 1 basketball. Lillard has a good first step, quickness, body control, and the ability to create his own shot. Damian has range that stretches beyond the NBA line from downtown, and it's important that he does considering that 48% of his shots at Weber St. came from behind the three point line. Lillard is also a good rebounder for a guard; he had 9 games of 7 or more rebounds including 3 double digit rebound games. He's good at sneaking his way into the lane unchecked after the shot goes up, as well as tracking long rebounds on the perimeter. Some negatives against Lillard's offensive game would be: his assist to turnover ratio isn't even 2 to 1 for his career, at times he misses opportunities to get teammates involved after he draws the defense, he needs to develop his offense inside the three point line, he doesn't play like a true point guard, and he needs to improve his shot selection. At the defensive end Lillard leaves a good deal to be desired. He has the athleticism and length to be a better defender than he is, but the effort and energy just aren't there at this end of the floor. He plays with a lack of activity and intensity, does an average job of staying in front of his man, seems uninterested in fighting through screens, and lacks urgency on close outs. Lillard is almost a lock to go somewhere in the draft lottery and could even find himself as one the top 10 picks taken. He's a guy with big time scoring ability, deep range accuracy, defensive concerns, and he'll be asked to play the point in the NBA even though he's not a natural one. NBA Comparison: Stephen Curry, but more dangerous off the dribble.